If you are an Android purist, you know that Google’s Pixel range offers the best Android experience, and also, their specifications and performance are also top of the line. If you’ve been looking to purchase Google’s latest smartphone offering, the Pixel 2, now might be the perfect time to do, as the Pixel 2’s 128 GB variant can now be purchased at an effective price of just Rs. 42,999 on Flipkart. 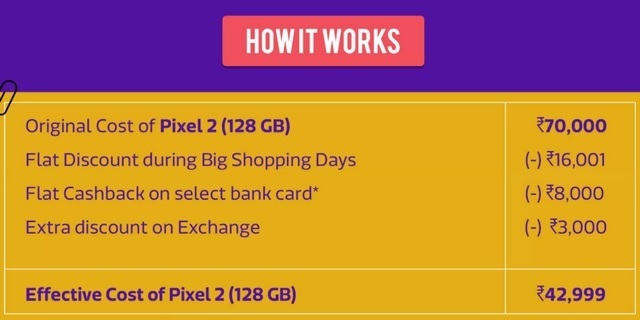 As part of the Big Shopping Days sale, Flipkart is offering the Pixel 2 (128GB), which is normally available at Rs. 70,000, at a hefty 38% discount, which amounts to a massive price cut of Rs. 27,001 on the flagship device. Here’s how the deal works. Flipkart is offering a flat Rs. 16,001 discount on the Pixel 2 as part of the sales fest, and an additional discount of Rs. 8,000 if you make the purchase using an HDFC credit or debit card. Moreover, if you exchange your old smartphone, you can get an additional 3,000 off on the Pixel 2’s final price, bringing it down to just Rs. 42,999. This is one of the lowest price points that the Pixel 2’s 128GB variant has been available recently, and it might be an opportune time if you’ve been eyeing the device. To further sweeten the deal, Flipkart is offering an assured buyback guarantee of up to Rs. 37,000 if you purchase the device during the sales, which means if you keep your Pixel 2 in pristine condition and then exchange the device after a span of 8 months, you end up paying just Rs. 5,999 for the Pixel 2, which is simply extraordinarily lucrative. 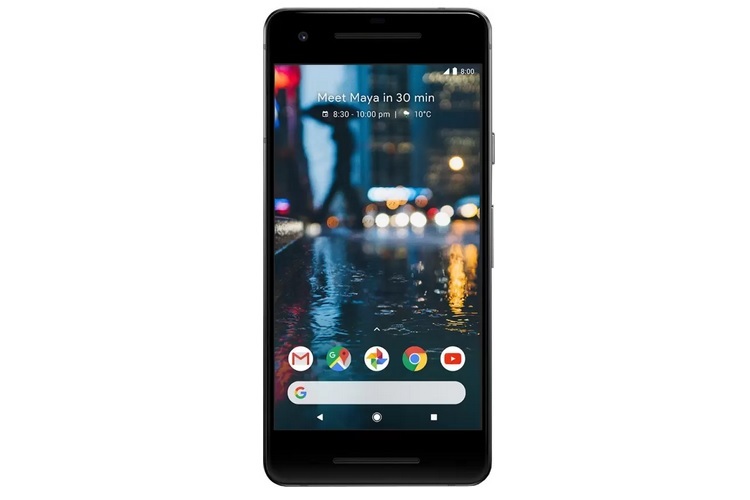 Moreover, if you are a fan of the larger Pixel 2 XL, Flipkart is also offering the Pixel 2’s bigger sibling at a hefty discount, coupled with some attractive buyback offers.